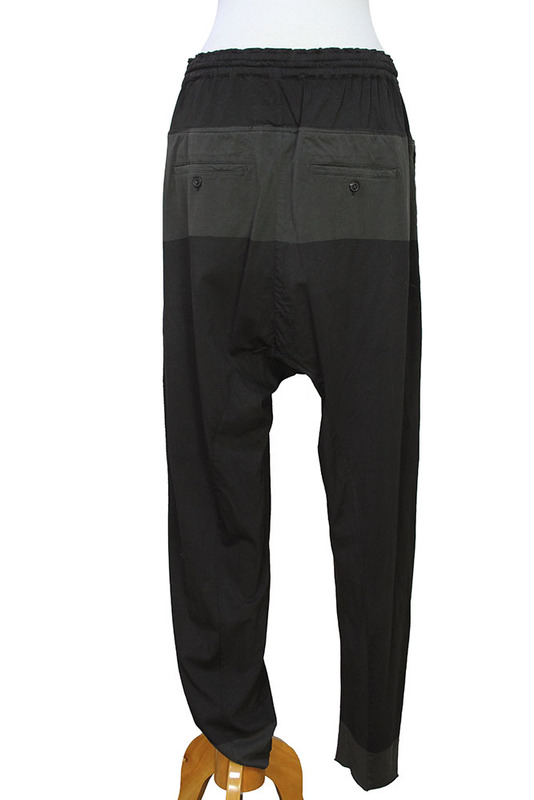 Rundholz Dip Collection loose, lightweight, low-crotch trousers in overdyed cotton opal colour. 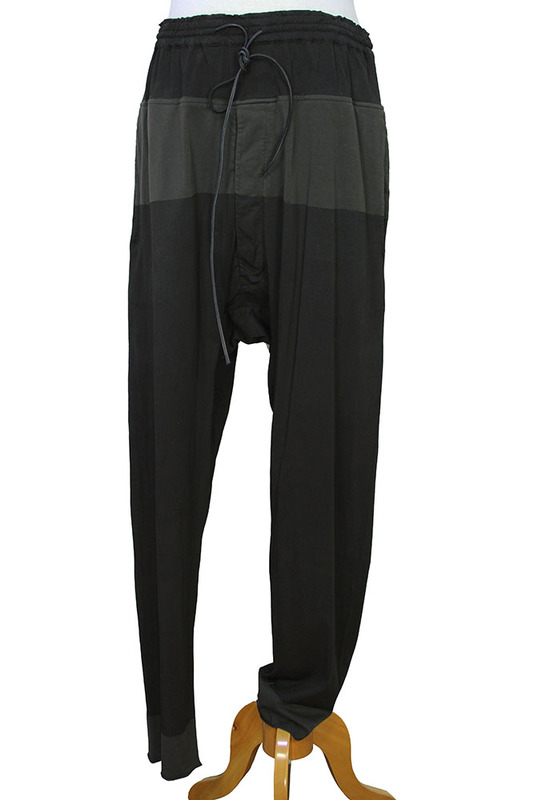 Elasticated waist with gathered stitch detail and leather drawstring. There is a lighter dyed panel about 3 inches below the waistband, at the front there is a 4 buttoned fly with placket. The lighter colour is echoed at the hems, which are rolled, raw edged. 2 rear pockets with button fastenings. Lovely, lightweight, Summer trousers, very easy and stylish.